With a one-second flashback burning in his mind, Myles van Musschenbroek is fired up to make a statement when the Bestmed Tour of Good Hope gets under way in Paarl on Monday. 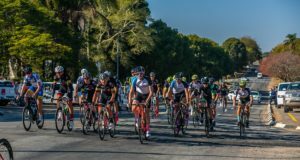 South Africa’s premier stage road race, presented by Scicon and the City of Drakenstein, will take riders through a total of 491km in and around the Western Cape town from Monday to Friday. The defending champion is Kent Main, but there can have been few stage races of this nature decided in such dramatic fashion than last year’s finish at the Taal Monument just outside Paarl. On the final stage, Main trailed leader Van Musschenbroek by 51 seconds but in stunning fashion he managed to make up the deficit to hand a one-second loss to his devastated rival. Almost a year later, the memory still lingers for Van Musschenbroek and he feels there is unfinished business ahead of him next week. “That one second has been a bit of a thorn in the side for a year,” the 25-year-old ProTouch rider from Johannesburg said. Having said that, Van Musschenbroek acknowledged that he caught some lucky breaks last year, with stage four being cancelled because of high winds “which played in my favour”. Nonetheless, he said still had to work hard to head the general classification going into the last day. This time he is looking forward to better team support. “Our preparations are all on track and there is a lot more depth in our team this year,” he said of the outfit which includes last weekend’s Bestmed Berge en Dale champion Reynard Butler. He said they had been focused on working as a team, discussing tactics going into each race and having learnt a lot about each other. On the other hand, Van Musschenbroek knows the race will be as competitive as ever. “Definitely there is going to be a high level of racing this year, with lots of teams going into the race to try prove a point and to try to win. “Dimension Data (for whom Main now rides) have won the race before and they always have a strong team, while a team like BCX will always be contenders. 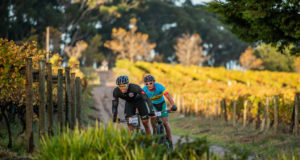 The ProTouch star said stages three and four, which included significant vertical ascents, with the former ending at the top of Dutoitskloof Pass, would be telling in the final outcome. But he added that you could not take any stage lightly. “You really have to pay attention to the whole race because anything can change at any time,” he said. “The time-trial is a key stage to see if you can make up seconds and even though it’s shorter, stage five is critical as well. In the absence of defending women’s champion Candice Lill, the in-form SA road race champion Carla Oberholzer will be one of the strong contenders for the title. 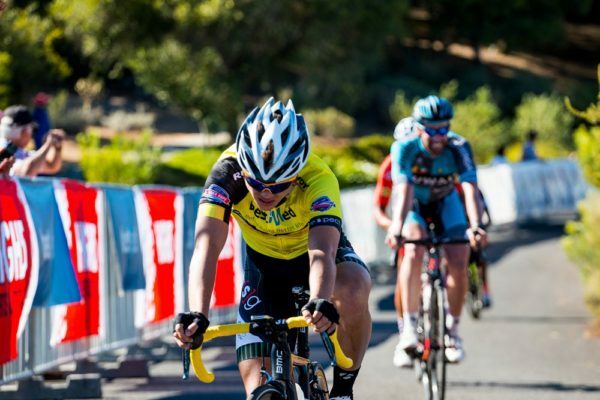 The Demacon Women’s Team rider, however, will be on her own for the event as her teammates will only be joining her for the Cape Town Cycle Tour on March 12. Admitting being on her own would make it a bit more difficult, Oberholzer said she was still focused on taking the win. “It’s very different on your own, but my plan is just to take it stage by stage,” she said. With Lill concentrating on next weekend’s World Cup cross-country race in Stellenbosch, Oberholzer said a contender would by Yzette Oelofse of Team Bestmed.